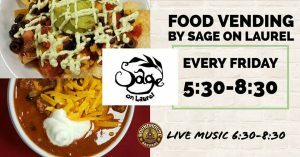 Join us for dinner with Sage On Laurel! 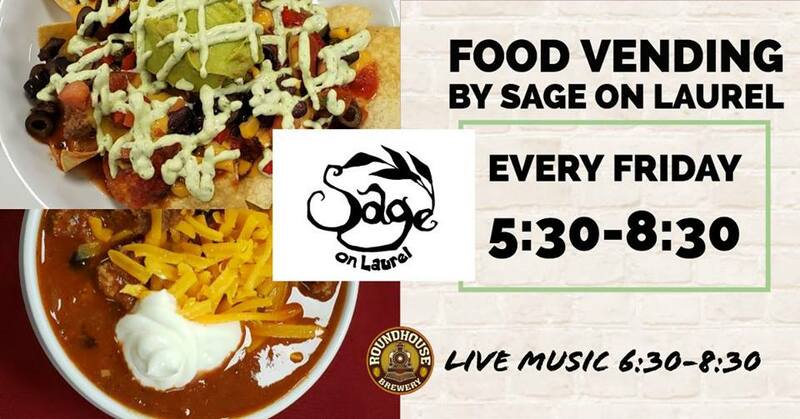 Good music, good food, and local craft beer. See event wall for menu updates. Music from 6:30-8:30.